We’re thrilled to announce that Karinya House, Home for Mothers and Babies is the Canberra Southern Cross Club’s inaugural Community Key Partner. Karinya House has been a valuable part of the Canberra Community for the past 20 years, providing much needed support for vulnerable and at risk pregnant and parenting women, including supported accommodation, transitional housing, outreach services and support groups. 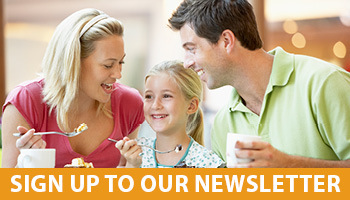 “In our twentieth year of operation and in endeavouring to meet the financial and resource need of our new Home, the Club’s endorsement of our work with vulnerable pregnant and parenting women and their families is significant.” said Marie-Louise Corkhill, Executive Director of Karinya House. Our new Community Key Partner Program provides Karinya House with up to $150,000 over the three year term of the partnership, comprised of $40,000 cash and $10,000 of in-kind services each year. 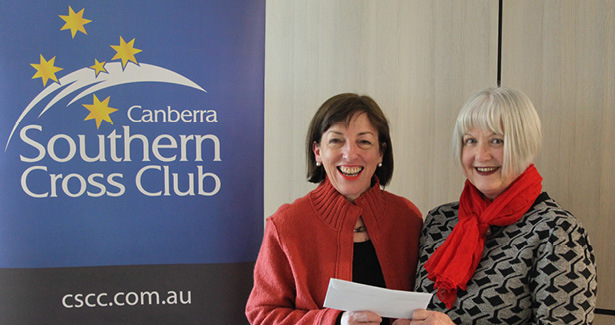 The Community Key Partner program is the fifth Community Giving program developed by the Canberra Southern Cross Club. The Club currently sponsors over 350 community organisations with a wide range of sizes, backgrounds, and services, and contributes over $1.5 million to these groups every year. “We had a number of very worthy applicants for the program, but the impact that Karinya House has had not only on the lives vulnerable women, but also on the lives of their children is what really persuaded us in our decision” said Board Director Mary Laughlin, Chair of the Community Giving Committee. Historically, the Canberra Southern Cross Club has always provided Community funding through programs such as Community Welfare, Community Grants, Community Sports Sponsorship, and in recent years, through the introduction of our innovative Community Rewards Program. Pictured: Marie-Louise Corkhill, Executive Director of Karinya house with CSCC Board Director Mary Laughlin.